What to look for when buying a used Dodge Charger? The Dodge Charger is a model with a long history that spans three very different vehicles. The first through fourth generation Charger was an American muscle car built as a coupe, the fifth-generation was a more compact sport coupe, and the sixth-generation is the sedan version we see in production today. The first-generation of the Dodge Charger began in the 1966 model year and most Charger models built through 1978, the last year of production for the fourth-generation Charger, are considered collectibles. The fifth-generation Charger (1981-1987) is considered a quasi-collectible and is often available as a used car. These front-wheel drive coupes are more practical in everyday use than are the earlier generations and generally have good fuel economy as well. Finding one in excellent condition can be a challenge, but there are examples available to those who persist. 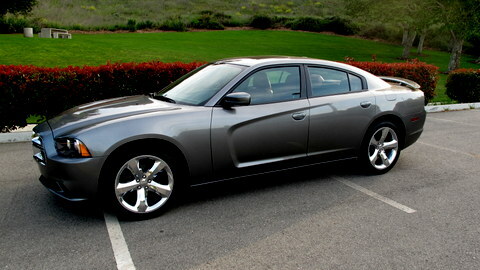 On the used car market, however, the current Dodge Charger sedan, which entered production for the 2006 model year, is the most common vehicle sought. Built with stylistic reminders of the early-generation Chargers, the modern sedan combines practicality with nostalgic style and power. The Charger has a good combination of interior quality and accoutrements for the price point and remains a favorite on the used car market. The big sedan achieves impressive fuel economy thanks to the powerful V6 that motivates most of the Chargers on the market and can be found in both rear-wheel and all-wheel drive. In most of the new-generation Charger models, crash tests have been about average for the segment. Some of the first of the new-generation Chargers gained a reputation for premature engine failure, which usually happened just outside of warranty (at roughly 100,000 miles). On many of those 2006 models, Dodge extended the warranty. So finding a 2006 model with a non-original engine is not unusual. From 2007 forward, there are few other reported issues. Buyers should pay attention to the state of the alternator, a common fail point as mileage builds, and have it tested before purchase. The Charger is otherwise considered a relatively reliable sedan. Consumers may wish to cross-shop with the Chevrolet Impala and Toyota Avalon as alternatives with less muscular looks. For similar styling, the Chrysler 300 is also an alternative. What is the average price for Used Dodge Charger? How many are for sale and priced below market? What Dodge Charger model year and mileage can you get for your budget? Where does used Dodge Charger rank in comparison to competitor vehicles? What Is The Average Price Of A Used Dodge Charger By Model Year? What Is The Average Price Of Competitor Cars To The Used Dodge Charger? What Is The Average Price Of Used Dodge Charger In The Top 10 Cities? We like to think that we buy a vehicle with our head, but it's the opposite. For many, a car purchase is an emotional decision where we consider what kind of image we're putting out to the world. For example, take the Dodge Charger. It may be old and trail competitors in key areas such as safety and interior appointments. But the aggressive looks and performance on offer make it a prime target for those who want to stand out. With the 2016 Dodge Charger, just on account of its attitude and swagger which you just can't find anywhere else in this class, we think we maybe should have graded it on a curve. You know, like the bad boy in class who always passed because the teachers were afraid of him. What? Would you want a remedial Hellcat in your classroom? We didn't think so. For this test we have included impressions from four separate tests in various Charger models. This is pretty much necessary given the depth and breadth of performance offerings from this full size sedan which works as everything from a razor sharp track day tool to an efficient family hauler. 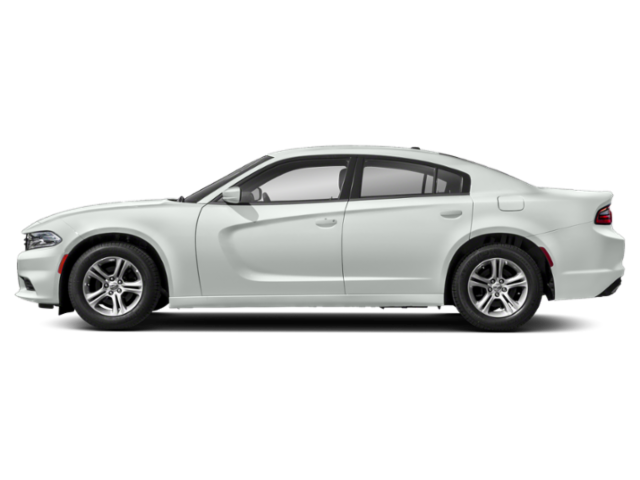 Although there is the most basic SE model you can pick up for as little as $27,995, we recommend kicking it up a couple grand to at least SXT trim which gives you access to more of the nice features the Charger offers. So we have done on-road one week tests with a 2016 Dodge Charger SXT with the 3.6 liter 300 horsepower V6, the Charger R/T Road & Track with a 5.7 liter 370 horsepower Hemi V8 as well as the SRT 398 with the non-supercharged 485 horsepower 6.2 liter monster sized V8. All three of these vehicles offer up above average performance compared to most every four door sedan out there with the SRT398 capable of loafing to 100 mile per hour plus freeway speeds if you don't watch your speedometer. And our experience with the Hellcat was limited to one gloriously terrifying day at famed Buttonwillow Racetrack with engineers from the SRT division on hand to teach us how to drive a car with that much power properly. Who are we kidding, after getting out of 3 laps in the Charger Hellcat the Viper felt kind of slow. The Hellcat simply put warps your perception of speed. We fear for our license if we ever get to test a Hellcat for a week on city streets. 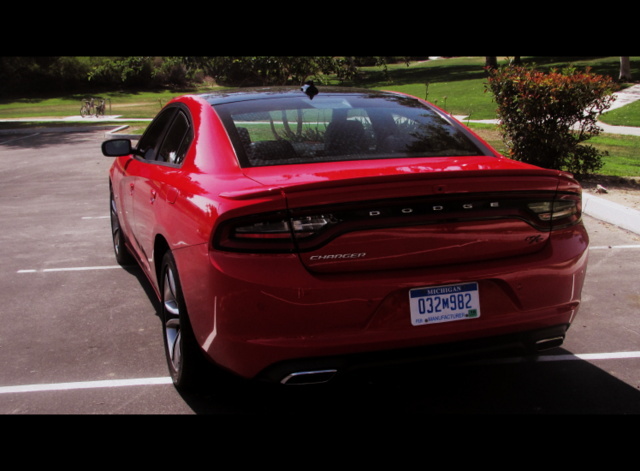 But here are our overall impressions of the 2016 Dodge Charger. The 2013 Dodge Charger is a five-passenger sporty full-size family sedan that is fun to drive, has three available engines, available all-wheel drive and a spacious and comfortable interior. With its aggressive looks and performance to match, this is not your average family sedan.